Borna Coric beats Roger Federer 7(8)-6(6), 3-6, and 6-2 to win the 2018 Halle title. With this loss, Roger Federer loses his number one title to Rafael Nadal. Federer also lost a chance to win his 99th ATP title. Coric dominated the game from the first set which he won in a tie break. Federer made a strong come back in the second set and won it 6-3. With such a strong come back, many thought it would be an easy journey for Federer to win his record 99th ATP title. However, Coric surprised everyone with this resilience and better game play. He easily won the third set 6-2. The best thing about Coric was his strategy. He didn’t let Federer get comfortable in the court and played corner to corner shots. 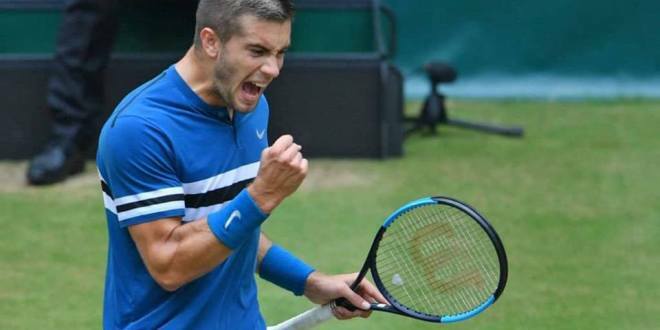 In the end, it was a well deserved win for Borna Coric. In the post match presentation ceremony, Coric thanked the audience as well as the overall organizing committee of the tournament. He said he had been preparing for this win for many years.